Well, here we are, late September, getting ready for Conwy Feast, and the summer seems to have gone by in a flash. We’re all amazed at how well the shop has done, and we’re well set up to put into practice our ideas for the coming season, leading into the Feast and then Christmas – is it too early to be talking about Christmas? Sounds like the title of my next blog! Regular visitors to the shop will know that we have started working on our Particularly Fine Teas (and somewhat geeky teas), and we are very excited and proud of this collection of rarities. Talk to us about any of them, and I’m sorry to say that we get a bit carried away, about the flavours in the first place, but also about the provenance of these teas, about growing, picking, processing and storage methods, let alone the brewing. The collection is largely Oolongs and Pu-erhs so far, and they’re taking up just the one shelf of our cupboard, but my oh my are there some special teas there!! We always have got very excited about Oolongs – well Carissa and I do – Jake is more of a coffee man if we’re honest. We’re not ashamed to say that we message each other about the flavours that we get from each steeping of a new oolong, and rave about jasmine, honey, orchid, camphor flavours. If you’re very lucky and happen to be in the shop when we’re having a taste, then you may well be offered a glass to try. Pu-erh is something I felt that was lacking both in my knowledge, and in the shop, and we certainly have the expert customers who are looking for this very special tea. I’m the first to admit that we are all very much novices in Pu-erh, but I think that all adds to our excitement when we encounter them! 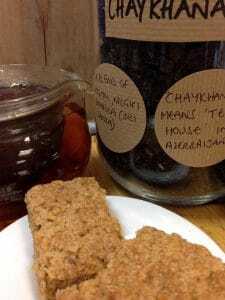 We now have a regular Tea Tasting Evening on the last day of the month, some slight changes from next month, but essentially the same relaxed tea drunken evenings. The October tasting will be of some of our Fine Teas, oolongs and pu-erhs, or maybe just a selection of pu-erhs from the same area, so we can compare the effect of terroir and processing. 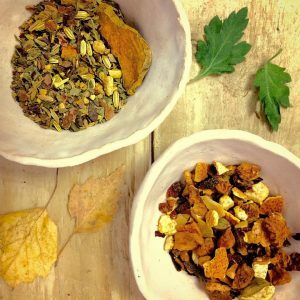 The September Tasting is on Saturday, and we will be looking at our Winter Teas, focusing on building immunity, fighting colds, and snuggling in front of the fire – a bit of hygge never went amiss.